This paper presents a new load sharing method based on process initiative. 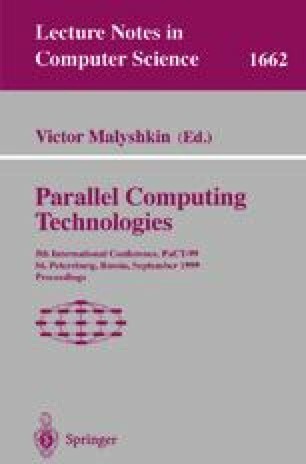 The method can be applied either for individual pro- cesses in networks of workstations or for parallel computation. We know that the global computing power is most of the time much underutilized. Our goal is to share the load among the different processors. Usually, load sharing algorithms are based on the fact that information and de- cision of distribution are on the processor. We aim to give processes the abilityt o decide where they are going to run. This method is based on the independence and the initiative of entities. We have written behav- ior algorithms for independent processes. We have used them to realize a dynamic placement tool on a network of UNIX workstations : PLAT- INUM. The aim of this paper is to present our new method through PLATINUM.